NUS Scotland exists to promote, defend and extend the rights of students, and develop strong students’ associations. 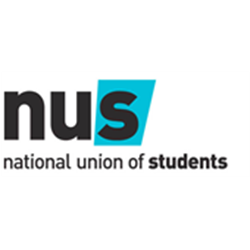 NUS Scotland is a confederation of over 40 students’ associations across colleges and universities in Scotland, representing over 500,000 students. NUS Scotland does great work for our members and is one of the most influential campaigning organisations in Scotland, securing significant wins for students and across further and higher education, and more. However, we want to be even better, and as Development Consultant, you will play a central role in ensuring we are. An exciting opportunity has arisen within NUS Scotland to join our team supporting the development of students’ associations in colleges. This role will support elected student officers, students’ association staff and college professionals to embed the Framework for the Development of Strong and Effective College Students’ Associations in Scotland. Typical tasks will include delivering training, facilitating meetings, creating and delivering development plans, advising students’ associations on best practice, and running events. The successful candidate should have knowledge or experience of the college sector and experience working in students’ associations or a similar membership-based organisation. Skills in consultancy, project management and stakeholder management will be especially valued. This is a fixed term post until July 2021, as part of a project funded by the Scottish Funding Council. With collaboration at the heart of your approach you’ll be excited to work with colleagues and members to develop innovative projects that drive forward students’ associations in Scotland. You may have experience working in a students’ association, or maybe in organisational development or consultancy. You’ll definitely be comfortable working with students and advising members with sensitivity, gravitas and assertiveness. You’ll have no problems communicating clearly and effectively, both in writing and also in person and on the phone. You’ll be used to travel, getting out and about to engage and support our members face to face, and managing competing priorities. Your personal values will mean you are passionate about developing your knowledge and skills with the wider NUS Scotland team, and working towards collective goals.